The release of her debut EP “Fresh Air” in January marked the launch of her recording career. Self- described as “Tori Amos meets Miles Davis”, Mary “fused jazz, funk and world music to come up with a unique sound that is at once groovy, mellow and funky” (Tri-City News). Produced by Jon Reynolds, Indianapolis, USA. Additional production by Paul Shatto at The Sound Kitchen, Vancouver, BC. The release of her debut EP “Fresh Air” in January marked the launch of her recording career. Self- described as “Tori Amos meets Miles Davis”, Mary “fused jazz, funk and world music to come up with a unique sound that is at once groovy, mellow and funky” (Tri-City News). The response was immediate and she was quickly selected to perform in the prestigious Listen Up! Festival, which showcases Vancouver’s best up-and-coming talent. From there, she went on to place in the top three at the West Coast Singer-Songwriter Competition and complete her first Western Canadian tour with great success. Armed with her trusty piano, soaring voice, and suitcase full of songs, Mary’s evocative stage presence makes you feel like you’ve known her a long time, even having just met. Between jokes about past stints as a rebellious piano bar performer and unruly music student, she wears her heart on her sleeve in tunes like “The Moments We Lost” and “Circus”. The driving reggae of “Perfect all the Time” and funky chorus in “Bell” bring out the edge in Mary’s music, revealing the many shades of her wide-ranging inspirations. She channels the irrepressible muse inside her head through intricate social and political themes while continuing to strive for that perfect hybrid of jazz, pop, folk, rock, and funk. In a Ritalin-choked music world laden with egos, tabloid fodder and stretched Hummer limousines it’s refreshing to find a simple moment of clarity. 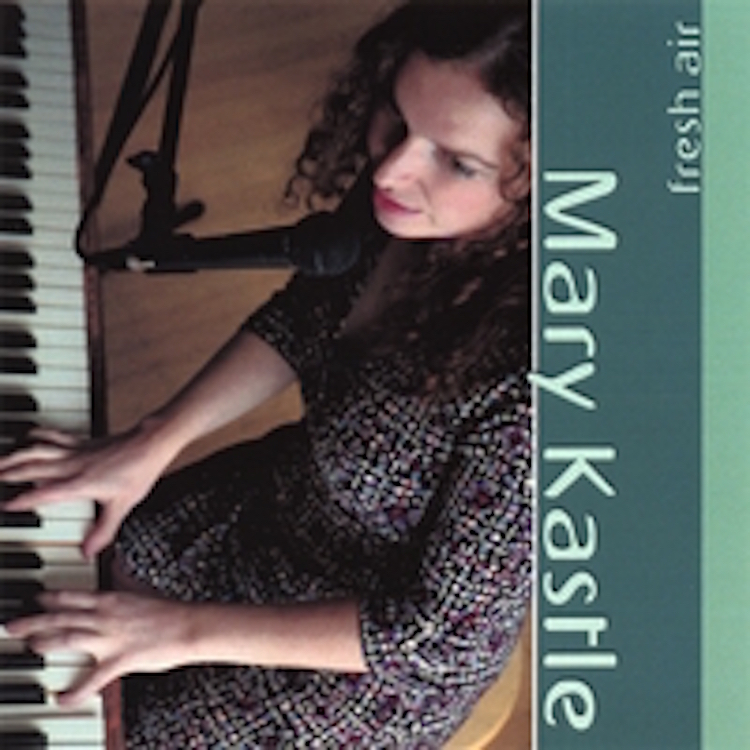 It takes about three bars on the debut CD [Fresh Air] by Montreal born Mary Kastle to achieve this moment, and to realize that some people were born to sing. The production on Fresh Air is sparse, but it rarely matters, as Kastle flows through the high octaves like a tranquil stream and conjures haunting melodies from the keys of her piano. 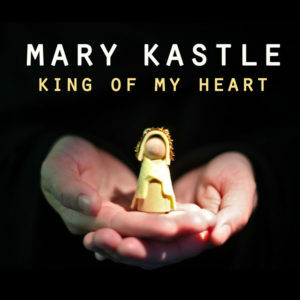 The six song disc, which Kastle herself admits is just a small leg of her musical journey, may not be an arrival, but is certainly a beacon letting people know her notoriety is imminent. I spoke with Kastle, via phone, from Kelowna where she is starting a tour that will see her perform eighteen times in the next month and take her to venues in five provinces. If her hectic schedule would seem overwhelming, Kastle does not travel with a band – only her piano, you will not hear any signs of burden in her voice. After all, barely a year ago she was playing covers and show tunes on a cruise ship. This experience might disconnect some artist from their path, but Kastle took playing daily for “a lot of baby boomers” as a chance to “get into the headspace of different artists” like Billy Joel and Elton John. It also led her to meet John Mulrenan who produced the title track on Fresh Air. The one take approach worked, as Fresh Air is definitely an emotional piece of sound. From its opening piano notes to its rousing vocal chorus the song makes me want to call my ex-girlfriend and apologize for random misgivings. The opening track “The Moments we Lost” is like a martini in some gin joint where everyone is sweating through their formal outfits. Track two, aptly named “Bell”, is the most intriguing piece on the album. The piano seems to be bi-polar (in a good way) drifting from near silence into climaxing notes, mixed with vocals ranging from a whisper to full singing. The true gem on the album in song five “Perfect all the Time.” If there were a song to crossover into new audiences for Kastle, this would be it. It is part Tori Amos with a pinch of Erykah Badu, causing immediate head bops and “Night at the Roxbury” neck spasms. The vocal harmonies mixed with some competent drum and bass work gives this track a very contemporary feel. The song shows the potential of Kastle’s music when she has a rhythm section riding shotgun on a record, which is my only grievance with Fresh Air. The rhythm section falls short on tracks that require drums or bass to accentuate the vocals and piano. This being said, talent like Kastle’s only remains without band mates for so long. I highly recommend Fresh Air to jazz enthusiasts and metal headed punks, like me, who want to impress people by showing a sophisticated and sensitive side of their pallet.